Shop the high quality Hp Pavilion Dv6-6000 CPU cooler at low price now! How to replace the Hp Pavilion Dv6-6000 fan? Prepare a correct replacement Hp Pavilion Dv6-6000 cpu cooler. If you are not sure which one is correct, please contact us. Unplug the old Hp Pavilion Dv6-6000 cpu fan. Remove screws that hold the heat sink and fan in place, then remove the entire unit from the laptop. Clean any thermal compound residue from the bottom of the heat sink and the CPU. 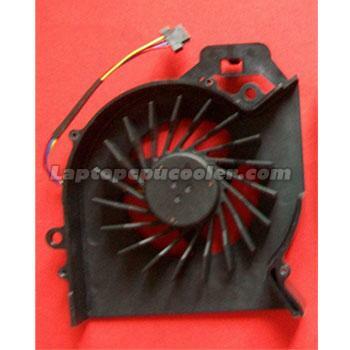 The Hp Pavilion Dv6-6000 cooling fan replacement image is only to be used as a point of reference.